With thoughts, and occasional rants, on farm, family and crafting. Just to stay sane, I knit. A lot! This shows why my knitting volume has slowed some recently. 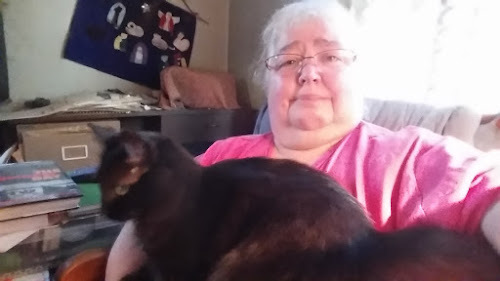 Lewie seems to feel the best place to rest is either on my shoulder, with his tail in my face or on my chest on top of any knitting. Not only does he interfere with the knitting, but he is a little blast furnace! 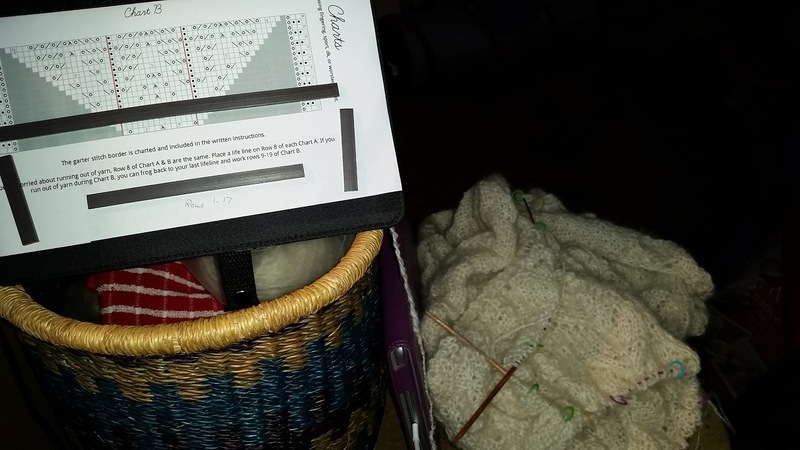 In spite of all that I managed to finish the last repeat of chart A on Sandy's Traveling Woman shawl. Working on this is also like having a blast furnace on my lap. 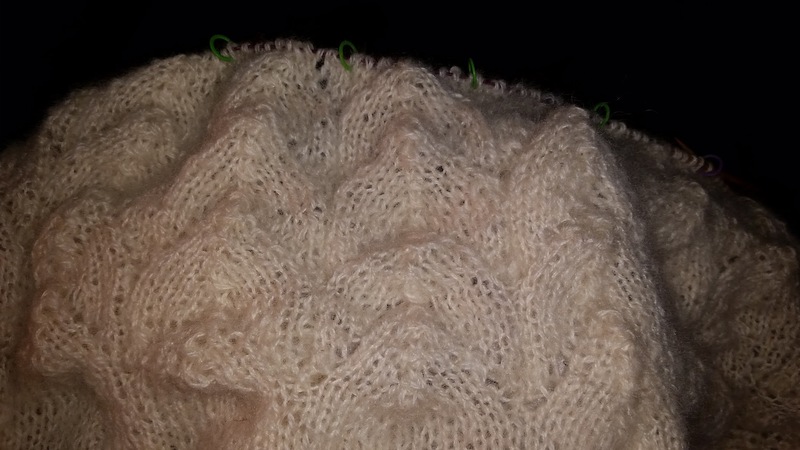 The handspun Romney/Leister wool will certainly be warm enough for an Alaskan cruise. And as you can see, I have started the final chart. Barely started, but started nonetheless. And now we have the heat I need to knit through. I need to turn on the AC ASAP. 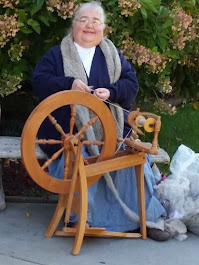 A mother, farm wife, friend, spinner, knitter and granny. I dabble in genealogy and love NASCAR. I love winter, cool crisp air and living in Michigan. My favorite movies are old movies, mostly from the 30s,40s and 50s.